SNOOPY is back. 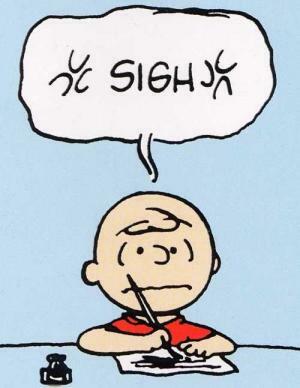 The best cartoon do of them all is to star in a new Peanuts movie, coming to a screen near you on November 6, 2015. Do you flinch a little when you learn that it’s produced by Charles Schulz’s son Craig Schulz and the screenplay has been co-written by his son Bryan Schulz? 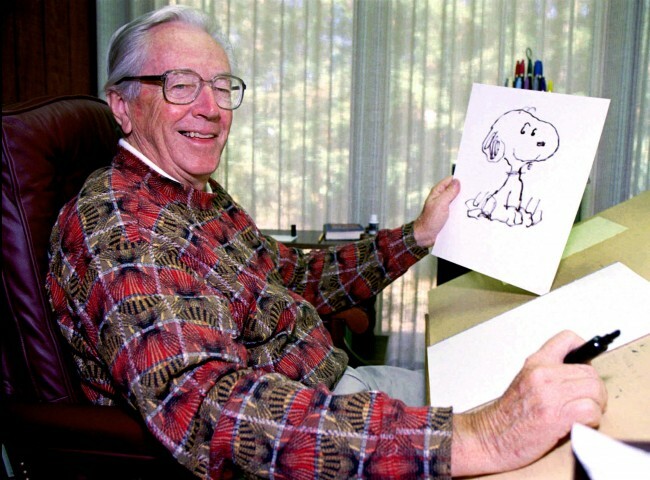 In this Sept. 29, 1995, fie photo, cartoonist Charles Schulz holds a drawing of his comic strip character “Snoopy” in Santa Rosa, Calif. But a film… None of them have been a patch on the sublime comic strip. Sure, we like the teacher’s big wah-wah voice, watching the kids dance and hearing Marcie, the best bit-part character of them all ,telling Peppermint Patty in 1973’s A Charlie Brown Thanksgiving that she should not complain about the “dinner” Charlie Brown made for them because she had invited herself over to eat it, but the strips were so much snappier, pithier, touching and funnier. The movies were just a ‘best of’ package. Look at these two strips. Both are far better than anything in the films.